Angel has an opinion about everything and she can take a while to warm up to new people. 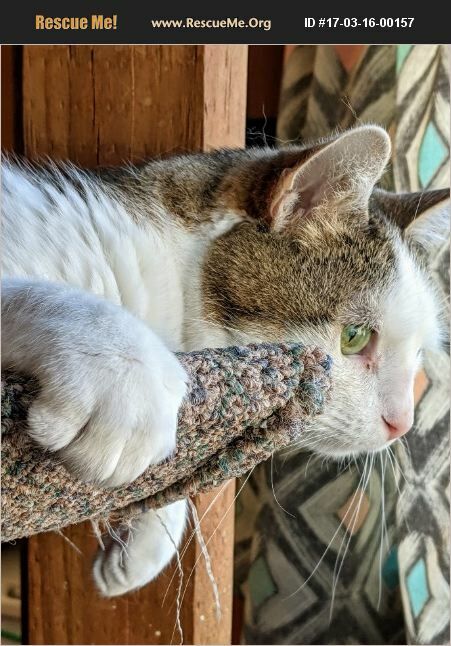 Angel is looking for an experienced cat owner that will give her all the time and space she needs to become comfortable in a new place. Angel is on twice a day medication for hyperesthesia (she bites at her tail). She came to Animal Lifeline after her owners passed away. Angel just loves to sit and look out the window!